Multi-car accidents can cause injuries to anyone involved. The injuries may be very serious due to the force of the impact from many cars colliding, as well as multiple impacts. A multi-car pileup may make it difficult for rescue workers to provide lifesaving care in a timely manner. The fact that many drivers are involved can also complicate legal issues surrounding the car accident. At the Underwood Law Offices, our car accident lawyers have extensive experience representing clients who were injured in multi-car crashes. We are ready to help you ensure that your rights are protected and that you get the compensation you deserve. Contact us today for a free, no-obligation case evaluation. According to a National Highway Traffic Safety Administration (NHTSA) crash causation survey, researchers estimated that 57.2 percent of accidents involve two or more vehicles. A total of 12 percent of the surveyed crashes, which were chosen as a representative sample of all car accidents in the U.S., involved three or more cars. NHTSA has also gathered data to assess the dangers of multi-car crashes. Based on NHTSA’s information, around 40 percent of all deaths in the U.S. arising from car wrecks happen in accidents with multiple vehicles. Visibility is poor. Fog or rain can make it more difficult for drivers to see other vehicles on the road. This can increase the chances of an initial accident, and it can also make it harder for other motorists to avoid colliding with the vehicles that were involved in the first crash. Roads are slippery. When snow, ice or rain make roads slick, drivers may have less control over their vehicles if they fail to reduce their speed and drive carefully. Traffic is heavy and drivers are tailgating. When there is a lot of traffic and cars are traveling too close to each other, an accident involving two cars can escalate quickly into a chain-reaction accident. Drivers are rubbernecking. When drivers crane their necks to look at an accident scene or other disturbance on the road, they take their eyes and their focus off traffic. This can increase the risk of a pileup. Cars are traveling at high speeds. When drivers are going fast, they may have a limited ability to stop quickly. If an accident happens, other fast-moving cars may not be able to stop in time. Many of the conditions that lead to multi-car pileups exist on highways and interstates. When people are hurt in a car crash that was caused by someone else’s negligence, they have a legal right to make a car accident claim. A claim can be made against any driver who was responsible for causing the accident to occur due to his or her negligence or carelessness. It is often a challenge to determine which drivers were to blame in multi-car pileups. 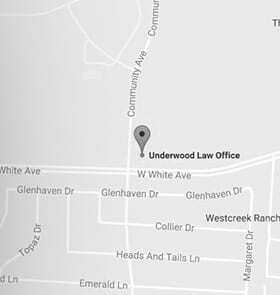 At the Underwood Law Offices, we can investigate the accident to help you resolve this issue and help you get the compensation you deserve. Our dedicated car accident attorneys have extensive experience investigating multi-car accidents and successfully pursuing compensation for victims. Schedule a free consultation with one of our personal injury attorneys so we can explain what you might expect in your situation and how we can put our skills and experience to work for you and your family. If you want to learn more about how we can help with your personal injury case, please call our toll-free number 844.UNDERWOOD (844.863.3796) or send us an email for a free consultation. You pay no fee unless we win. Se habla español.